Beyond the clouds shows you Namibia from a completely different perspective. Your flying safari takes you to the most spectacular regions such as the Private Nature Reserve Namib Rand and Wolwedans, Damaraland with its desert elephants, the World Heritage Site Twyfelfontein, the Organ Pipes and the Burnt Mountain. 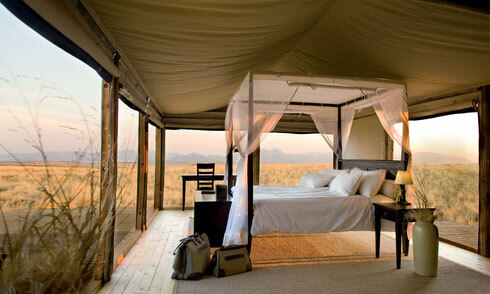 The crowning highlight on this exclusive flying safari is the Etosha National Park. 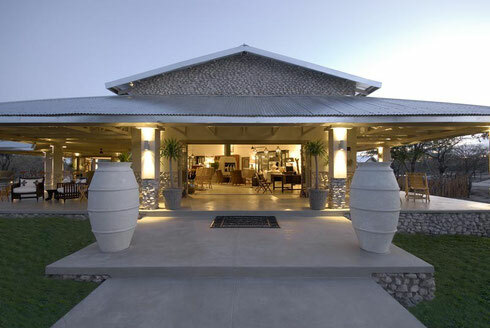 Upon your arrival at Hosea Kutako international airport we take you to the Hotel Heinitzburg, your accommodation in Windhoek. 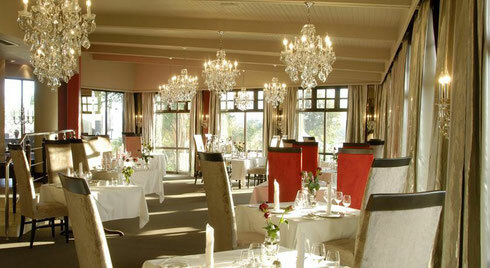 During the rest of the day you may explore the city of Windhoek with its numerous attractions or you might prefer to just enjoy your hotel’s unique ambience and the beautiful view. This morning your private flight is waiting for you at Eros airport to take you to the Private Nature Reserve Namib Rand. 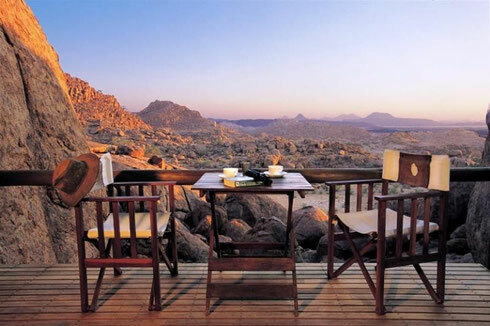 You will stay at the Wolwedans Dune Lodge situated in the breathtaking and unique landscape of dunes, the ideal ambience to relax your soul. 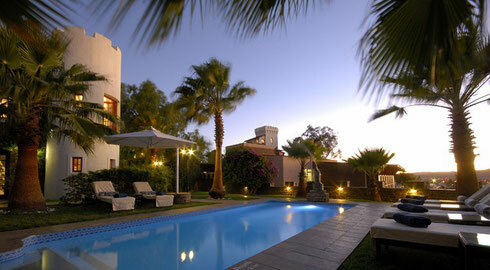 The lodge offers a variety of activities during which you experience the exquisite beauty of this region. While exploring the dunes and their inhabitants you will be intrigued to learn how they have adapted to this harsh desert environment. Your journey continues high up in the air over the Namib Naukluft Park until you reach Damaraland. 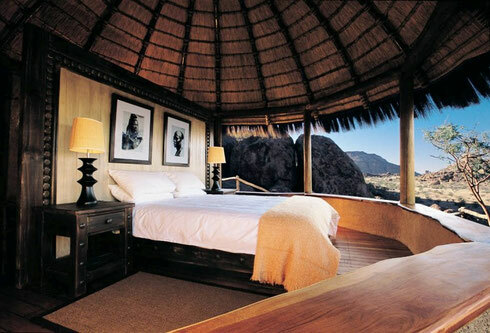 From the unique setting of your abode, Mowani Mountain Camp, you enjoy a wonderful view over the surrounding landscape, which is studded with granite formations. This morning you ranger will take you into the ephemeral rivers of Damaraland, which are home to the famous desert elephants, remarkable for having adapted to this barren environment. In the afternoon you will visit the World Heritage Site Twyfelfontein, the impressive polygonal basalt pillars known as the Organ Pipes and the Burnt Mountain. A major highlight is in store for you today. 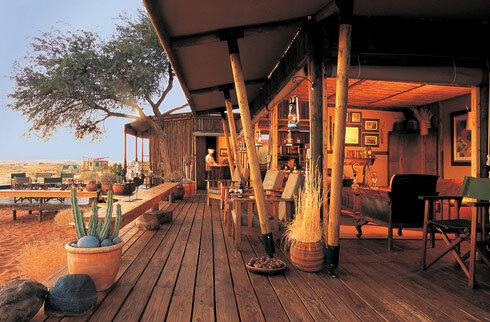 You will be flying over the Etosha National Park to arrive at your accommodation, Camp Mushara Outpost. From there your ranger will take you on day trips to explore the park with its great diversity of wildlife. In addition to elephant, rhino, giraffe, zebra, various antelope and bird species you may also see lion, leopard and other predators. 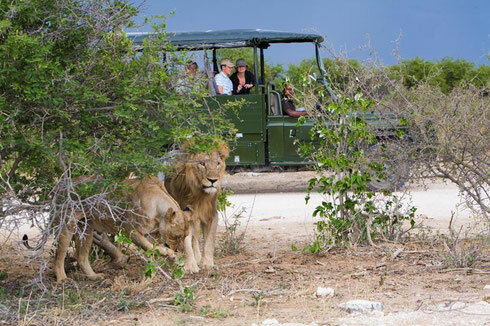 During game drives in the park with your ranger you observe the animals at waterholes and along the roads. The park covers an area of about 22,000 km² and is dominated by the huge salt pan measuring 4,700 km². The particular fascination of this park is due to its diverse vegetation zones, ranging from short grass savanna to woodlands, which provide a variety of habitats for many different animals. Today your private plane will take you back to Windhoek, where you will again stay at the Hotel Heinitzburg before setting out on your homeward journey. After a spectacular flying safari you embark on your homeward journey, taking along countless unique and beautiful memories.